Gumperz (1999: 98) concluded speaking is cooperatively constructed which is based on contributions, assumptions, expectations, and interpretations of the participants‘ utterance. Speaking is an interactive process of constructing meaning that involves producing and receiving and processing information Thornbury, which Speaking is also a multi-sensory activity because it involves paralinguistic features such as eye-contact, facial expressions, body language, tempo, pauses, voice quality changes, and pitch variation affect conversational flow. It seems that culture is integral in how speaking is constructed which has implications for how English speaking is taught and learned. What are some of the reasons why speaking tests seem so challenging? One reason is that the nature of the speaking skill itself is not usually well defined. Understandably then, there is some disagreement on just what criteria to choose in evaluating oral communication. Grammar, vocabulary, and pronunciation are often named as ingredients. But matters such as fluency and appropriateness of expression are usually regarded as equally important. Even when a speaking criterion like fluency is widely agreed upon, there is some question about how to test it. In brief, the elements of speaking are numerous and not always easy to identify. Also there isn‘t very wide agreement on how to weight each factor. Other cocern related to the testing of speaking include how to get students to speak and how to evaluate so many things at once. There is also the practical problem of having to test each student individually. One way that we can simplify the task of evaluating spoken language is to limit the range of speaking activities tested. It is suggested that teachers be cautious about using formal tests of speaking at very early stages of instruction. Instead, the relatively nonthreatening limited-response measures that follow are recommended (Harold, 1983: 148). Studying English without practice speaking is useless. A part of communication speaking is regarded more representing what the speaker wants to say. Through speaking, one can express their minds, ideas and thought freely and spontaneously. 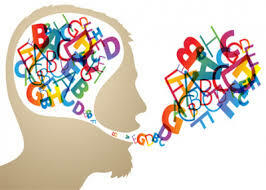 To most people, mastering the art of speaking is the single most important aspect of learning a second or foreign language, and success is measured in terms of the ability to carry out a conversation in the language (Fauziati, Endang. 2002: 20). Belum ada tanggapan untuk "Concept of Speaking"